Welcome to Bestex (Thailand) Co., Ltd.
Manufacturing of Metal Forming, Welded Assembly Component Part and Servicing of Cathodic Paint and Zinc Plating and Stone Guard and Plastic part (Blow Mold). Manufacturing of Steel Automobile Parts and Component Parts of Engine, Cathodic Paint Process and Plating Process. Manufacturing of Metal Forming, Welded Assembly Component Part and Servicing of Cathodic Paint and Zinc Plating and Stone Guard. 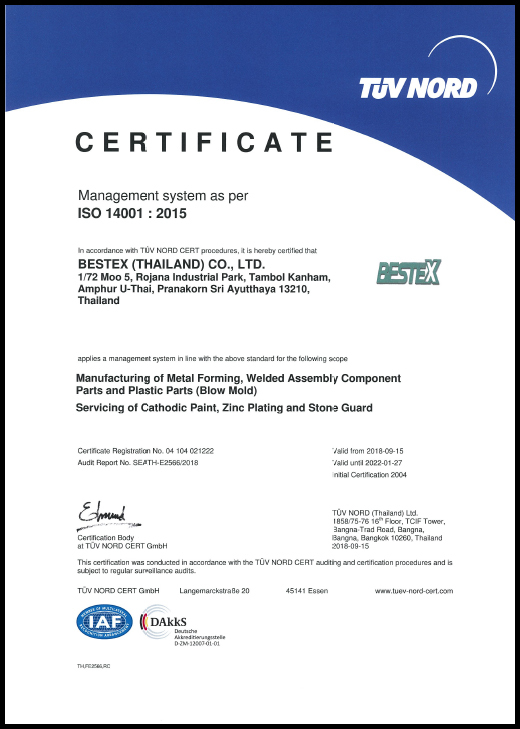 Copyright © by Bestex (Thailand) Co.,Ltd. All rights reserved.